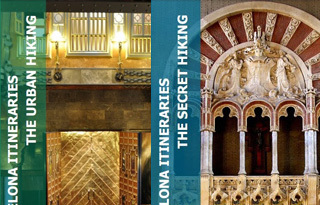 At Barcelona, you have the possibility to discover this city with a different point of view so if you get tired or you want to try something else than taxi, metro, bus or car, I recommend you those alternative transports. If you are a sportsperson you can rent a bike or a rollerblade. The government put in place a renting bike service called bycing but it is only for citizens since they have to pay an annual fee. It is a shame that they don’t do like in Paris because there, a foreigner have the possibility to rent it with his credit card but don’t worry, there are places where you can go to get your bike. Biciclot (pg maritime de la barceloneta 33, phone 932219778), they have different time schedule according to the seasons and the starting price is 5,5€ for 1h. Bike Rental (c/ rauric 20, phone 666057655), open every day from 10-20h and the starting price is 9€ for 3h. Barcelona Biking (baixada de sant miquel 6, phone 656356300), open every day from 10-20h and the starting price is 5€ for 1h. Barnabike (pas sota la muralla 3, phone 932690204), open every day from 10-20h and the starting price is from 4€ for 1h. Inecia (c/ roger de flor 10, phone 934869256), the shop is opened from monday to friday at 10-14/17-20h30 and saturday at 11-14/17-20h30 and the starting price is 5€ for 1h. Cooltra (pg joan de borbó 80-84, phone 932214070), it is opened every day from 10-20h and the starting price is 5€ for 1h - the shop is more specialized for renting motor/scooter. It can happen that one day you feel lazy or you are the kind of person who likes to enjoy holidays more “easily” for example renting a segway PT (Personal Transporter), a two-wheeled, self-balancing electric vehicle. So according to your desire, below some ideas. Cooltra (pg joan de borbó 80-84, phone 932214070) to rent a motor/scooter (driving license mandatory), open every day from 10-20h and the starting price is 10€ for one night and 20€ for one day. Motissimo (c/ comandante benítez 25, phone 934908401) to rent a motor/scooter (driving license mandatory), open every day except sunday from 10-20h and the starting price is 23,70€ for one day. Gocar (freixures 23 and paseo colón 2, phone 932691792) to rent a mini two-seater car guided by GPS, open every day from 10-19h and the starting price is 35€ for 1h but if you take the taxi and you present the bill, they will discount you 5€. Trixi (plaza traginers 4, phone 933101379), opening season from march 1st to october 31st at 11-20h and the starting price is from 6€ for 15 minutes – the trixi is a tricycle of which you pay a driver who pedals for you. 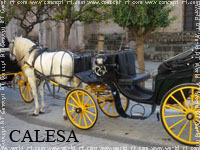 Calesa (phone 934211549), it is a service of horse drawn carriages that take you for a ride round the city and the departure is from portal de la pau and the arrival is at la rambla (next to Colón statue) – ride every day from 9-14h and 17h30-21h but you have to call to reserve and to know the price. 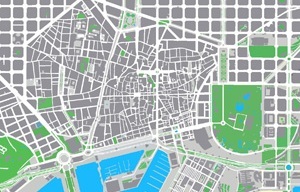 Segwaybcn (c/ calandries 3, phone 934948462), you have to call to reserve your segway and to know the price. Barcelona Spain Glides (baixada del caçador local 2, phone 932689536), you have to call to reserve your segway and to know the price. Limusina Barcelona (phone 932135710), you have to call to reserve your limousine and to know the price. Limusina Hummer (passeig ayma 18, phone 671541201), the starting price is 390€ for 1h to rent a hummer limousine. Gotland Charter (escollera del poblenou local 4, phone 932240140), the starting price is 170€ for 1 day. Zanzan Charters (moll de la marina 3, phone 932214019), the starting price is 190€ for 1 day. 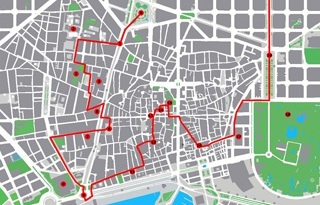 Las Golondrinas (phone 934423106), the departure is at portal de la pau (in front of the Colón statue) and the starting price is 6€ for 35 minutes. Barcosbarcelona (port forum c/ de la pau 2, phone 902343540), the starting price is 175€ for 4h and for 4 persons minimum. Barcelona Mar (moll de gregal, phone 932853832), the CMV (Centre Municipal de Vela) offers a sailboat tour between april and october during 2h for 31€ (limited places) including free entrance to the Maritime museum and the schooner Santa Eulàlia. 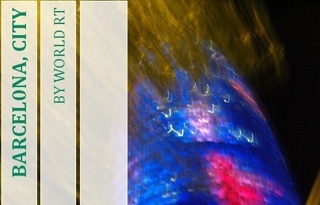 This last one has been declared as cultural property of national interest on june 29, 2011. Barcelona Orsom (phone 934410537 ), enjoy a catamaran tour during 1h30 or a speed boat tour during 50 minutes for a starting price from 11€ at plaza portal de la pau (in front of the Colón statue). Cathelicopters (heliport passeig de l’escullera moll adossat, phone 932240710), open every day and the starting price is 45€/person for 5 minutes – you have to call first to reserve. They also do customized tour according to your needs. Don’t hesitate to call them for more information and if you want, most of them have a website so by doing a search in internet with their name, you will find it easily. Don’t forget that if you are calling from outside of Spain, you have to add the international code +34 – for instance +34932219778 and one thing more, phone number starting with 902 is surcharged.